Are you wondering about the outdoor adventure options in Ontario in Canada? No worry, you will get to avail varieties of choices, which are different in types but all of them will initiate adrenalin rush for you. If you are looking for top five outdoor adventures in Ontario, Canada here goes your adventure options. Do you know that Ontario is called the water fall capital? For obvious reason, in Ontario you will get to visit some of the most exciting waterfall destination as your outdoor excursion. One such lovely but exciting spot is Devil’s Punchbowl Falls, Hamilton. Besides excellent landscape beauty you can enjoy here close proximity to nature. However, if you love canoeing in white water, Ontario will offer you plenty of options. You will get to enjoy canoeing in Algonquin Provincial Park on six different rivers. If you love to enjoy your snowboarding ecstasy or mountain trekking passion in Ontario, you will get to find some best venue here. For example, Blue Contain resort is a good option. It is few miles away from the downtown, and will offer you lots of option for you to enjoy snow sports. Here you can enjoy the sports with your kids too. Calabogie Peaks Resort, Devil’s Elbow Ski Area, or Horseshoe Resorts are slightly far off from the city, but you will enjoy here at your best. It’s worth traveling or the sake of unadulterated fun on your Ontario vacation. Have you ever tried riding on the dog carrying sledge? If not yet, you must try it here in Ontario. It is an exciting running frenzy you can enjoy here in this sledge riding. One such popular and reliable dog-sledging venue is North Ridge Ranch. You will get to book one hour tour, half-day tour as per your discretion. Your outdoor adventure passion will be nicely satiated here, we can guarantee. However, you may need to book the tour in advance, so early inquiry will bring sure result. Do you love galloping on the horseback? If you are a horse tour enthusiast, Ontario has some attractions for you. You can select from half-day or full day rides as well as on overnight rides. Feeling stressed? You can try horse therapy session at Honora Bay Riding Stable. If you want to enjoy simply the horseback riding ecstasy, book your tour at Horseplay Niagara. However, Ontario will offer you quality options for horse tour but you need to book the tours in advance to stay worry-free. There are plenty of cycling and biking venues in Ontario but out of all them, biking in Prince Edward County deserve special mention in the list. You can book these tours during summer and spring. Other than bike you can try the tour on cycles too. However, besides fitness and mental stamina, don’t forget to download Guide to Biking the Backroads of Prince Edward County, available free of cost online. 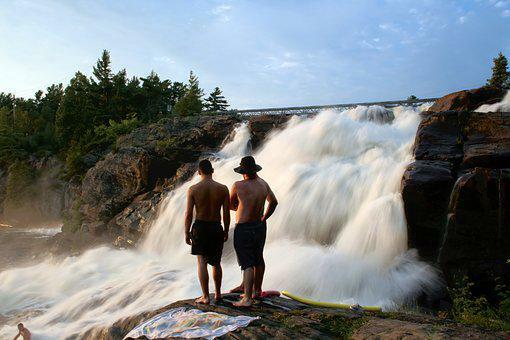 Ret these five outdoor adventure options in Ontario, and we bet you will enjoy your Ontario tour at its best. More options you can search online or contact your travel operator. Robert is an experience freelance writer for HorseWeb Horses for Sale, classifieds of horses for sale in Ontario.